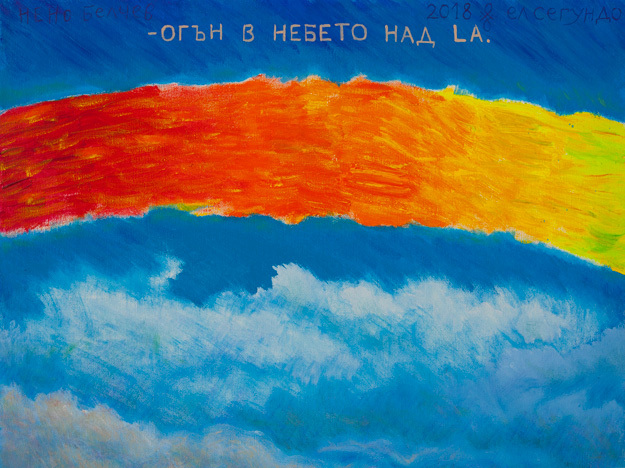 The painting above has been created during the time of ESMoA Artist-in-Residency Programme at ESMoA, El Segundo, CA, USA / 2018. And this is a project for disposable online exhibition with disposable pictures, as the only appropriate for the consumer society. The idea of disposable art opposes the maxim: "Life is short, art is forever!"